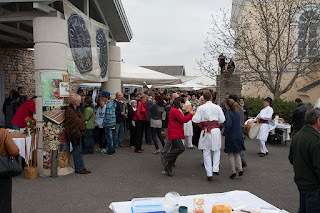 Tokaj Hegyalja Piac - local artisan market: Wow - what a reaction! Wow - what a reaction! Visitors and stall holders (not to mention the organisers) were all delighted with the market held yesterday. 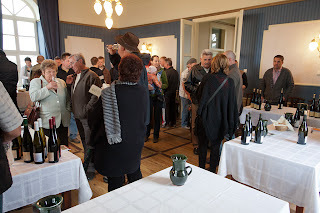 A fantastic atmosphere, people glad to see old friends and to meet new ones, an exchange of products and ideas, a chance to taste foods and wines from some of the top winemakers - and of course meet the people who put their time and energy into creating their products. Not to mention the live music throughout provided by Agyagbanda who got both children and adults to dance. And the first post market article is already up (in Hungarian). You can see some great photos. 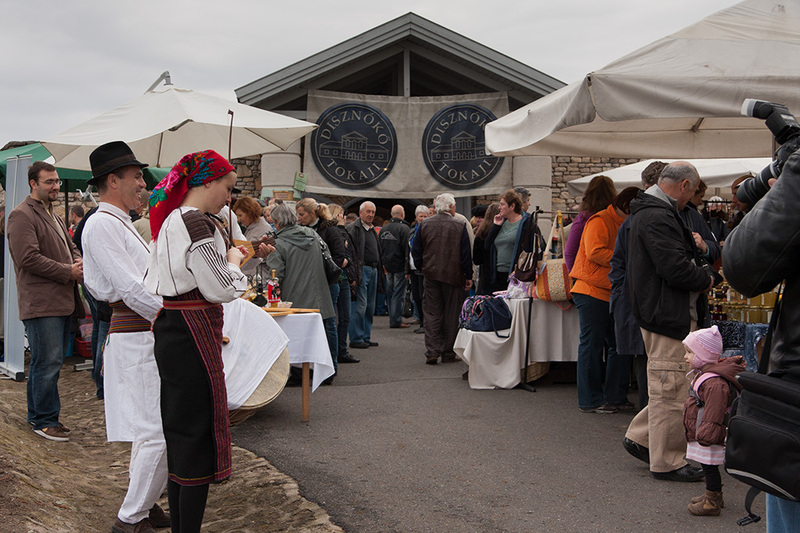 Talking of cheeses, the next market (13th May) will be centred around this fabulous food and we will have new arrivals next time as the guru of the Hungarian cheese revival, Enikő Balla, will bring her goat cheese and the organic Gonda farm of Erdőbénye their sheep cheese, as they will have more milk to work with. Hopefully also a lovely woman who keeps sheep who, when I asked her in January if she could come, said they were thinking of selling their animals as it was hard to find a market for her cheese. I met her at the Sárospatak market on Saturday, selling her fresh cheese, and she said she'd love to come. Did the market play a part in her deciding not to sell? Well partly, yes, it did And I'm delighted as she takes great care of her animals (who graze in fresh pastures by the Bodrog river), making delicious fresh cheese perfect just with a little salt and pepper, and spring greens (tender spring onions or bear ramsons is my suggestion). 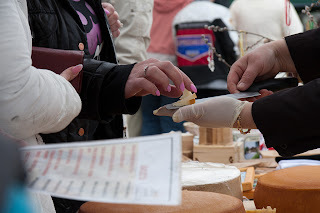 Another part of our cheese extravangza (and May is a perfect time for cheese with the plentiful milk around after the birth of the new generation) will be cheese and wine together. The classic pairing. that the so many of us enjoy. What do the winemakers have in mind as favourites for their wines? Well, join us to find out. There will be another wine tasting in parallel with the market - and many of the best have shown their intention to join us, as well as their support for the market. The title for the tasting will be released next week. 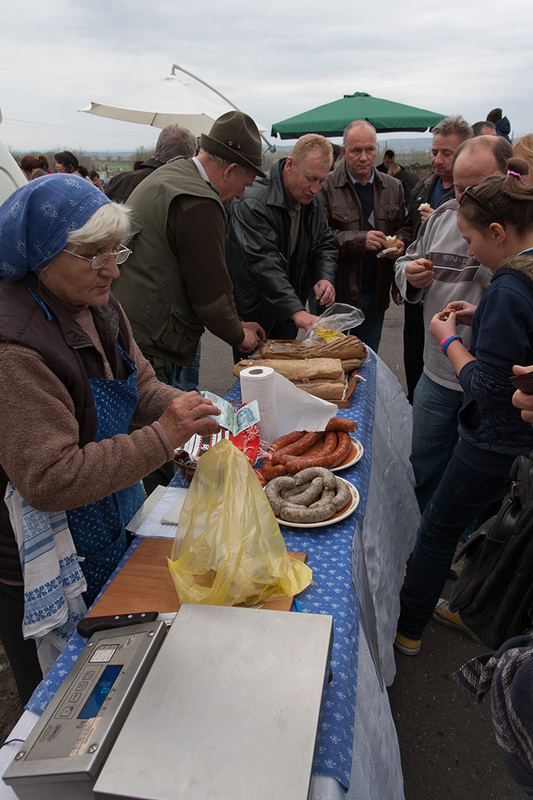 Other sausage and cured meat producers have already said they will be at the next market alongside the delightful older couple who raise their own mangalica pigs (the traditional Hungarian swine, smaller and hairier like so many old breeds! 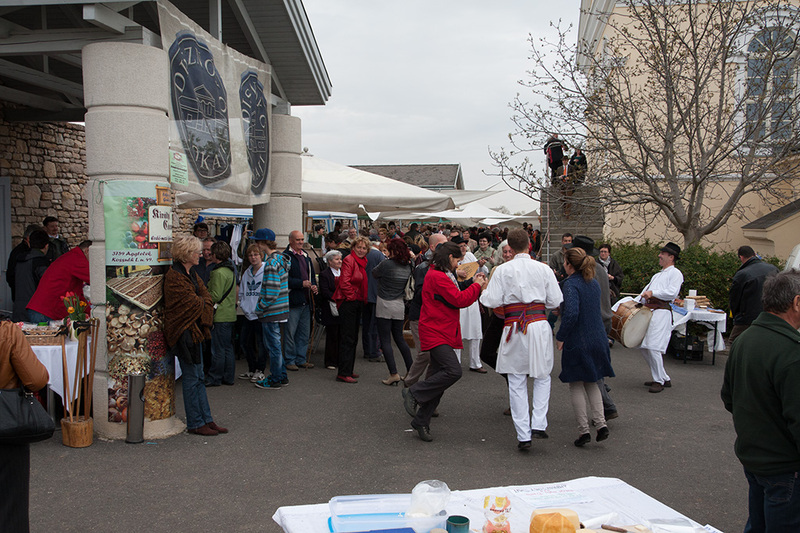 ), and the kényerlángos (Hungarian pizza) will have toppings fresh from the market - so the circles of business are already rippling out. We hope to have more vegetable growers too and, in order to make this happen, I will be speaking to the local authority in charge of issuing the papers people need and, along with Tourist Information girl we hope to encourage the most local of locals to join us with the produce from their gardens. Why an artisan market in Tokaj-Hegyalja?